Ellen Brown is an attorney and president of the Public Banking Institute, http://PublicBankingInstitute.org. In Web of Debt, her latest of eleven books, she shows how a private cartel has usurped the power to create money from the people themselves, and how we the people can get it back. 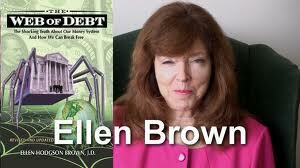 Her websites arehttp://WebofDebt.com and http://EllenBrown.com. The Public Banking Institute’s first conference is April 26th-28th in Philadelphia. 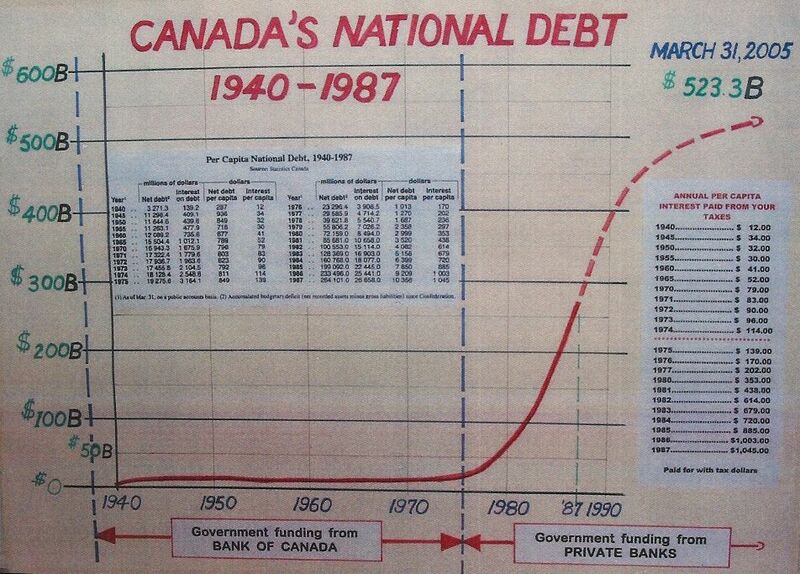 @PushButtons - The title of the graph clearly states:Canada's National Debt 1940-1987. The line seems to indicate this debt curve, according to the text supplied by Jack Biddell, a former government accountant. Compliments to Ellen Brown, well-written article that may be used for many other nations as an example, as suggested.